The Indigenous People of Biafra on Thursday asked a former Head of State, Yakubu Gowon, to stop making provocative and false statements against the late Dim Chukwuemeka Odumegwu- Ojukwu and the civil war. Gowon had recently in an interview with a private television station said Ojukwu’s lies caused the civil war in the country between 1967 and 1970. He alleged that the civil war broke because Ojukwu went on television and gave his account of the Aburi Accord, which was at variance with what was agreed upon; thereby deceiving the people of Biafra to going into war against the Federal Government. But IPOB in a statement by its Media and Publicity Officer, Emma Powerful, described Gowon’s comment as “ total falsehood from the mouth of a hater.” The group accused Gowon of having the penchant of distorting history, especially as it concerned the civil war. 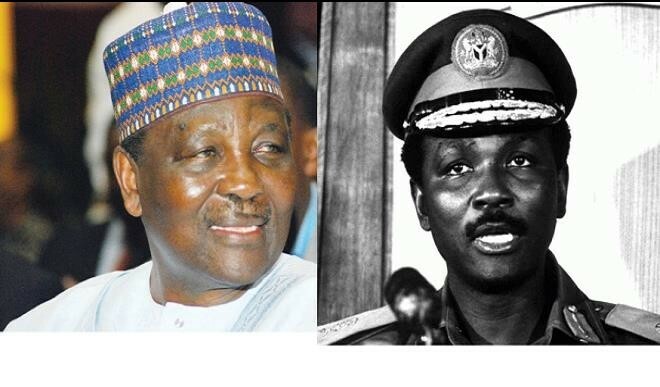 The group expressed worry that Gowon, at 83, could lie against the dead (Ojukwu) who could not defend himself in the circumstance. “At the ripe old age of 83 and with the little window God has left open to him to repent and show remorse, Yakubu Gowon has chosen to continue to deceive himself with his bouquet of falsehood. “It was the Labour Party government of Britain that cleverly convinced the Arewa North to put pressure on Gowon to feign illness, thereby making it difficult for him to tell the country what was agreed in Aburi because they were not comfortable with the agreement. The group said Gowon’s attempt to rewrite history would have worked had IPOB not been in existence. “This day and age, any attempt to rewrite the history of the Biafra-Nigeria war will be intellectually resisted and objectively dismantled. Fake history is at the core of why Nigeria will never be united. Gowon must come clean, apologise and make atonement.